Widge, Midge and Fidge were rescued after being found with no mother in sight. Ambulance Collection Officer Geoff George attended the scene in Torteval where they were found all alone in a shed. 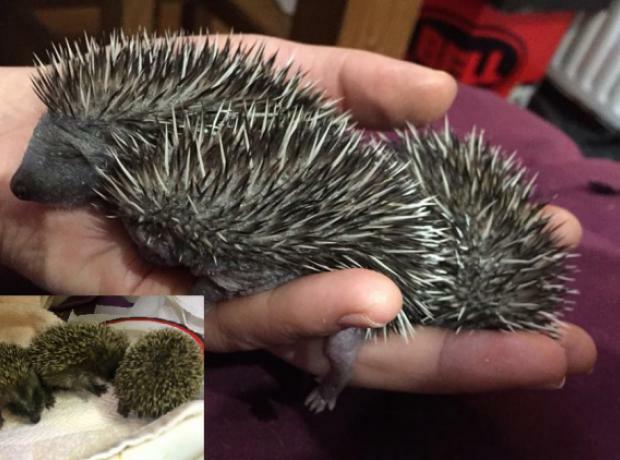 We are pleased to report the baby hoglets have been feeding well and are now trying to escape from their bed whenever they get the chance. 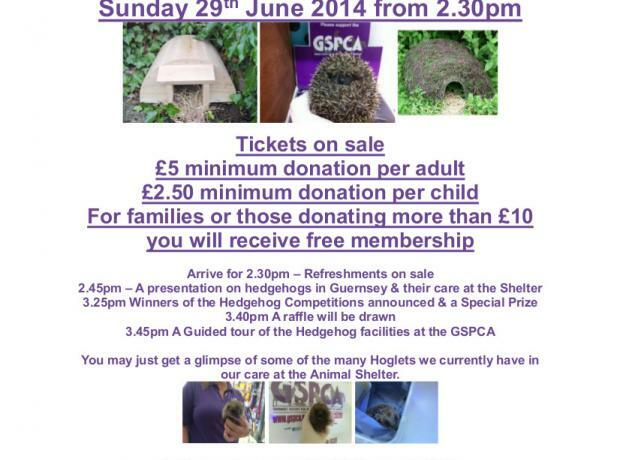 Every day animals in need find their way to the GSPCA or we are called out to rescue them. 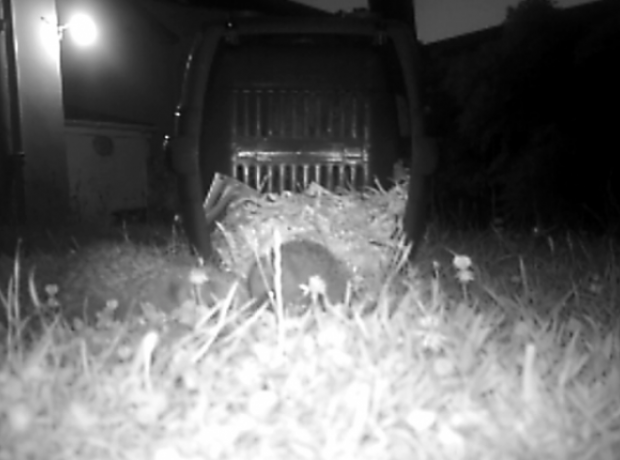 Earlier this month we had to free a hedgehog from a rat trap. 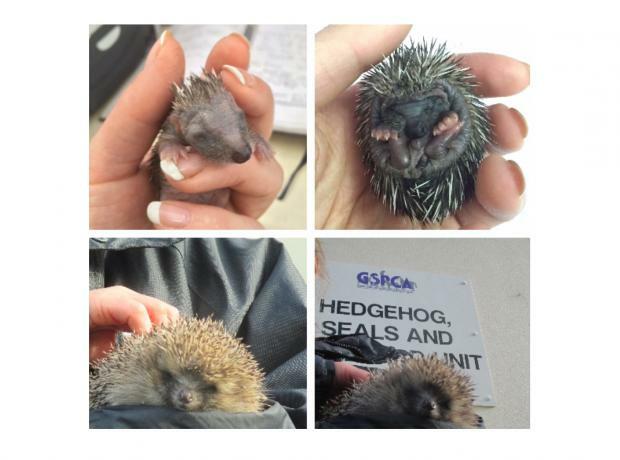 'Nugget' as the GSPCA named the adult male hedgehog was rescued from the St Sampson's area. 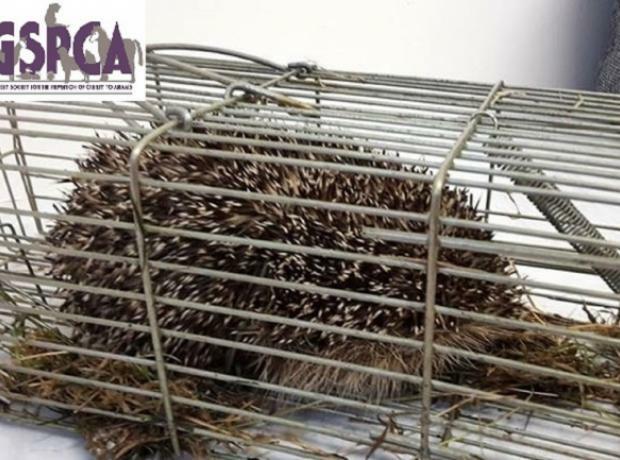 Sadly the team at the GSPCA couldn't free the hedgehog from the trap so a quick call was made to the local fire station and the hedgehog was transported so that their team could help release Nugget from the wire cage. Widge, Midge and Fidge were rescued last week after being found with no mother in sight last Friday. 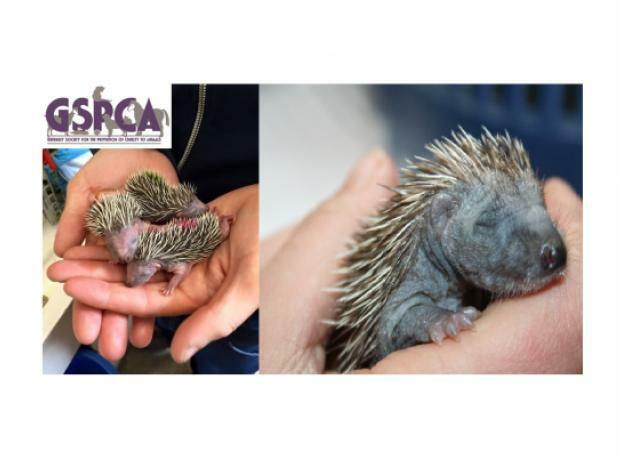 The baby hedgehogs or hoglets as they are called were rushed to the GSPCA Animal Shelter in St Andrews where they were fed and rushed into an intensive care unit. 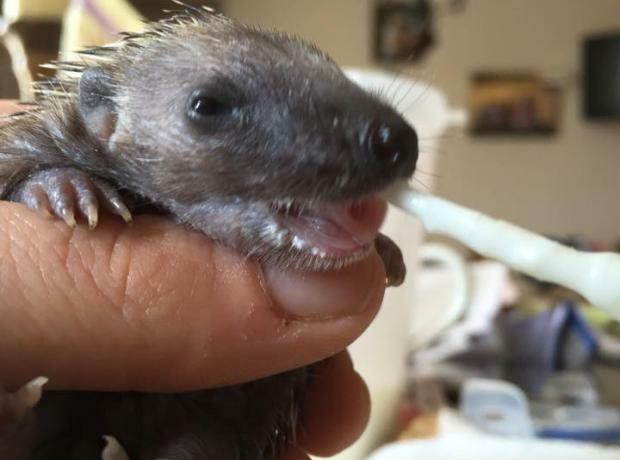 We are pleased to report the baby hoglets have been fed around the clock and are doing extremely well. £2.50 minimum donation per child.